Need a clan that does clan battles. Just looking for a clan that has a semi decent port and has some interest in clan battles. TSG4 is recruiting.... and happens to be looking for a few good ship captains to join us! 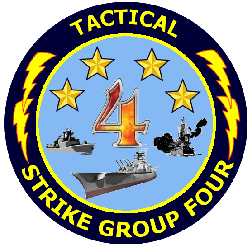 Tactical Strike Group 4 is a veteran founded, owned and operated military-style gaming organization that encompasses and combines various functions, organizational structures and practices from multiple military branches. 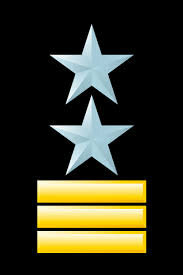 The TSG4 community is defined as “military-style” because it has a rigid support infrastructure patterned after a military unit with awards & decorations, ranks and duty positions. It has a hard-coded and stable Chain of Command with a dedicated corps of leaders that includes officers and NCOs at all levels. In addition, we pride ourselves on teamwork, community and communication... and we espouse an ethos encompassing unity, respect, brotherhood, and family! We are an Active organization that is "Casually Competitive" ....and All are welcome... you are not required to have a military background to become a member of TSG4! However, if you would like to experience the various expertise and the tight camaraderie from military personnel in a military-style organization within a Mil-Sim (Military Simulation Game), then you will fit right in with us! There are always in-house contests (with cookies) regularly coming around! Stop by.... visit our site and read through our SOP's! If you STILL have questions, feel free to hop onto our Discord server and talk with the members! VIP is founded and operated by a U.S. Marine Combat Veteran. I have a well stocked clan Level 9 base providing a Max 25% Free Xp bonus and 10% coal along with many other perks and benefits. Great group of guys, casual environment, no mandatory meetings. Please consider us and become a VIP today. 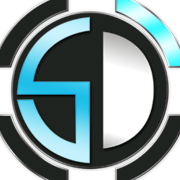 We are Fifth Dimension Gaming. Adding players everyday. We are one of the largest groups in the game. There is activity 24/7. We are a mature clan with members from NA and EU regions. We support both casual and competitive play. We are in need of sailors, officers and recruiters to help our growing group. Contacts: thewargod2000, Vendow and Major_Steel. Hop on and check us out. We would like to add you. OGF is an active clan battle group and our base is the best... Just look us up and come join us. YOLO is a very clan battle focused clan. Feel free to check us out. our discord is https://discord.gg/DAN3gyR. good luck in your search! Well, I'd like to invite you to come meet us over at AFK! We've got two clans, both AFK and AFK-2. We are one clan and share one discord, and will share in much of the training together, helping people grind to new ships, training sessions with other clans, and tournaments! We're a fun and active clan with a "NO DRAMA" mentality and a vision for growth! We require discord as that's our 'hub'. The difference between the two clans is simple: AFK has a minimum requirement for participation in Clan Battles (20 battles per season), while AFK-2 does not. I'd invite you to come join our discord, chat with me or another recruiter to find out more, meet some of the guys, and div up and play. I truly believe this game is about more than stats and Win-Loss records, but about the personalities and how we all get along and grow together! Shoot me a message if you'd like to chat sometime!